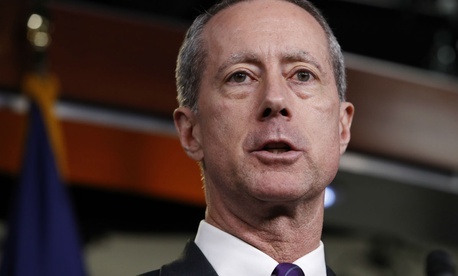 The House on Thursday easily approved its version of the $709 billion fiscal 2019 National Defense Authorization Act (H.R. 5515), which would trim several of the 30 “back offices” that provide shared services for Pentagon entities. The vote was 351-66. The annual grab bag of strategies for weapons acquisition and armed services management would make workforce reforms, including eliminating the Washington Headquarters Services office, which employs 2,300 civilian and military personnel and 1,700 contract workers. It would cut funding for departmentwide activities such as logistics, human resources, services contracts and real property management by 25 percent. The newly created chief management officer at the Pentagon would be responsible for identifying efficiencies to reach the reduction target by 2021. An amendment from Rep. Ralph Norman, R-S.C., would “for accountability and transparency purposes” require the Office of Management and Budget to keep separate accounts for overseas contingency operations and the accounts for the Defense Department. That active-war-related account has been controversial in recent years because of critics’ view that it allows undisciplined defense spending. A recent score from the Congressional Budget Office said multi-year commitments in force structure, pay and benefits and procurement areas would increase the cost of programs by $48 billion from 2020 to 2023. The Senate Armed Services Committee on Thursday completed its own markup of the bill.